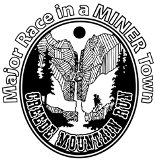 ¨ The 22-mile run will start in Creede (8,852’ in elevation) and will leave the main course at Allen’s Crossing (10,500’) and top out near the 11-mile mark along the Continental Divide (12,500’ in elevation) before rejoining the main course. Runners will be allowed to make a midcourse change at Allen’s Crossing to the 12-mile run if necessary. Runners must be at Allen’s Crossing in 1.5 hours to continue on the 22-mile course. After this time all runners will be directed to the 12-mile course. ¨ The 2-mile run/walk will follow the main course to the 1-mile mark and then return. First aid and water/snack stations will be provided. 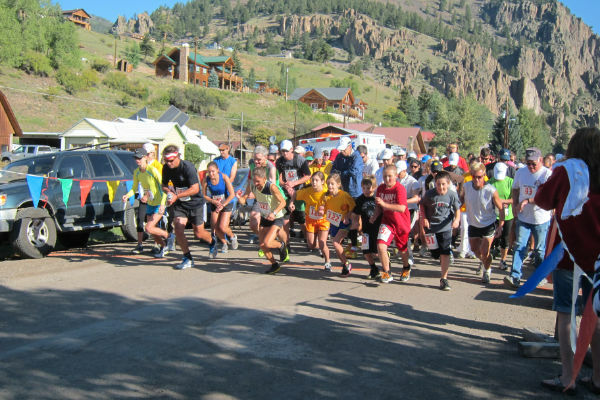 The Creede Mountain Run, established in 1987, celebrates the end of summer in our small historic mountain town. 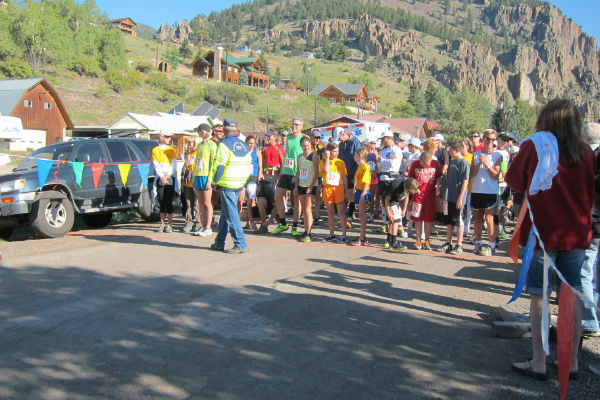 This event offers participants the opportunity to enjoy the breathtaking San Juan Mountains in Colorado on a 2, 12, or 22-mile course! All three runs will begin at 9 am! Registration and Pre-registration runner bag pick up will begin at 7:30 am. We recommend coming early, getting a cup of coffee and strolling through Main St before the race starts! You will find parking available at the Kentucky Belle Market - it's very close to the race tent and start/finish line! Day of registration - cash or check! Please make checks payable to "CMCCC"
If you are pre-registered please bring a form of ID with you to the pre-registration table!